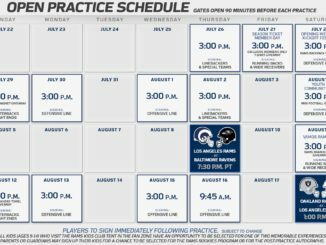 (Thousand Oaks, Ca) Following each practice, Quotes and Notes will bring you what was said, who said it, and what it means for your Los Angeles Rams. Head coach Sean McVay celebrated punching his first ticket to the Super Bowl with a handful of his high school friends at the Mercedes-Benz Superdome. McVay returns to Atlanta tomorrow, where he grew up and attended Marist High School and played quarterback for the football team. The head coach said winning a state championship at Marist stood out from his high school days and he hopes for a repeat celebration with the Lombardi Trophy. McVay was the Georgia 4A Offensive Player of the Year as a quarterback for his 2003 senior season. On Friday, defensive coordinator Wade Phillips spoke about his relationship with cornerback Aqib Talib, saying he appreciated being one of the reasons Talib wanted to join the Rams in the offseason. On Saturday, McVay said the pairing works so well because of a mutual respect for each other’s skillset and they are just guys who are easy to get along with. 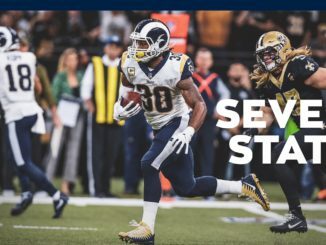 McVay recalled an instance in which Talib called a play as a member of Phillips’ Denver defense and as a result came up with a late-game pick in Kansas City. Talib and Phillips beat the Patriots in the AFC Championship game in 2015 before winning it all in Super Bowl 50. McVay seemed to be speaking quite literally when wrapping up his take on what kicker Greg Zuerlein means to his team almost a week after Zuerlein booted an NFL playoff record 57-yard game-winning field goal in the NFC title game. Zuerlein’s been through a lot as a Ram since being drafted in 2012. 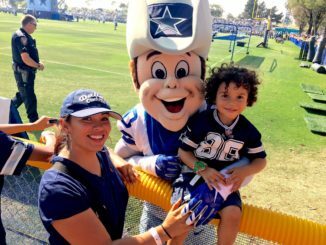 The kicker battled injuries late last season, missing the playoffs, and missed five games dealing with a groin injury this season. McVay applauded Zuerlein’s support of stand-in kickers Cairo Santos and Sam Ficken on Saturday, and said it says a lot about the kicker’s mental toughness. After reacting to the fact that Brady is yet to be sacked in the playoffs, defensive lineman Michael Brockers said the Rams will get to Brady if they can, but mimicked his fellow pass rusher and locker room neighbor defensive tackle Aaron Donald in emphasizing the importance of stopping the run. Brockers is in search of his first win against the Patriots. Zuerlein detailed what exactly went wrong last Sunday, which led to him leaving New Orleans in a walking boot. But he echoed his head coach, saying he should be good to go for the Super Bowl. Zuerlein has been successful on 83 percent of his career field goal tries. His career-long is 61 yards. March For Life Sees Broad A-List Participation in Washington D.C.